Student payments may be made with check or cash (in-person only). 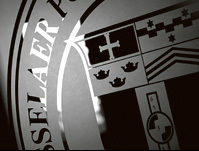 Make your check or money order payable to Rensselaer Polytechnic Institute. Please include your student number and the term on the face of your check. Payments returned by the bank for any reason will result in a $25.00 charge. Online payments may take 24-48 hours to be applied to your student account so please plan accordingly. If you need to pay an outstanding balance in order to register or request the release of a transcript or diploma, PLEASE DO NOT wait until the last minute to pay on line. Payments returned for any reason will result in a $25.00 charge. Allow 24-48 hours for your payment to be posted....Allow 24-48 hours for your payment to be posted....Allow 24-48 hours for your payment to be posted. Registration holds cannot be removed or records released until your payment is actually received and posted to your Rensselaer student account so PLEASE allow yourself enough time and pay early. To help fit the cost of education into your family's budget, Rensselaer offers a monthly payment option that allows you to spread your academic expenses over ten, nine, or eight equal payments. You'll have more time to pay, and the plan is interest free. To help fit the cost of education into your family’s budget, Rensselaer partners with CASHNet to offer monthly payment options that allow you to spread your academic expenses over ten, nine or eight equal installments. You’ll have more time to pay and the plans only charge one low fee at enrollment. Set up a plan to cover your entire bill, or just the balance left after financial aid. You will contract for the amount you need and the contract amount will show up on the student account. Please note that both the eBills and payment plans are both managed through CASHNet. The link above is the portal for the monthly payment plan only. Rensselaer Polytechnic Institute has partnered with Flywire to offer an innovative and streamlined way to make international tuition payments. Flywire’s mission is to save international students and their families money that would otherwise be lost on bank fees and unfavorable foreign exchange rates. With Flywire, you are offered excellent foreign exchange rates, allowing you to pay in your home currency (in most cases) and save a significant amount of money, as compared to traditional banks. In addition, the posting of the payment into your Rensselaer Polytechnic Institute account will be faster, you will be able to track where your payment is in the transfer process via a student dashboard and you will be notified via email when it is deposited into our account. Click or go to: Flywire to begin the payment process. Always indicate the student's name and student identification number with the transfer information to allow us to properly credit the account. A charge of $25.00 will be assessed for all payments returned by the bank and a hold will be placed on all student records, including transcripts, diplomas and future registrations until your account is cleared. In addition, the option of paying by personal check in the future may be withdrawn.